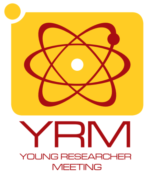 The YRM is organised in sessions, each of them dedicated to an active research field in Physics. The main purpose of this multidisciplinary format is to create an international network of young researchers, both experimentalists and theorists, and fruitful collaborations across the different branches of Physics. This year the 10° YRM is taking place in Rome from 18th to 21st June. Check it out!